This books offers a definitive text on the vital topic fundraising. 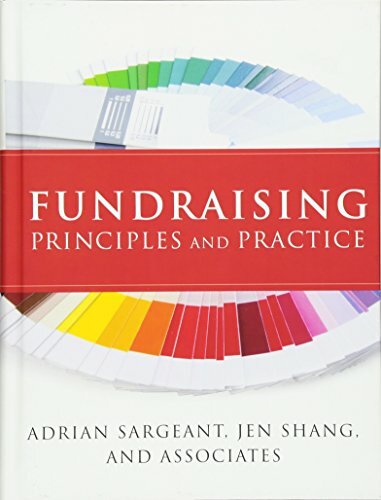 It provides students of fundraising and nonprofit professionals access to the most relevant theories and includes concrete examples of modern fundraising practice. The book contains clear learning objectives, recommended readings, case studies, summary self-test questions, and exercises at the end of each chapter. The Principles and Practice of Fundraising comprehensively addresses all the major forms of fundraising and critical topics such as donor behavior and fundraising planning. "Not only will fundraisers benefit from this comprehensive yet accessible text, but this should be required reading for all nonprofit practitioners and scholars. Reading this book will provide valuable insight on a vital subject and enhance the success of any fundraising effort." "This is not just a how-to-do-it book. Rather, it provides deep knowledge about the nonprofit sector, its role in society, and the values and psychology of giving that is essential to responsible and effective fundraising." "Adrian Sargeant is the world's foremost fundraising scholar. This text will be invaluable to the beginner, but new research findings mean it should also be a must read for established practitioners." "Designed and written to fill the void in current fundraising and development textbooks for both undergraduate and graduate students studying nonprofit management and leadership, Fundraising Principles and Practice surpasses my expectations for a comprehensive approach that will benefit American Humanics programs." ?SueAnn Strom, vice president, Academic Partnerships, American Humanics®, Inc.
"Sargeant is the accessible academic and this is typical of his work. It is rigorously researched, clear, concise, well written, well presented and entirely appropriate. Any fundraiser who knows what Adrian knows will outperform the others. It's as simple as that." "Designed and written to fill the void in current fundraising and development textbooks for both undergraduate and graduate students studying nonprofit management and leadership, Fundraising Principles and Practice surpasses my expectations for a comprehensive approach that will benefit American Humanics programs." —SueAnn Strom, vice president, Academic Partnerships, American Humanics®, Inc.
Adrian Sargeant is the Robert F. Hartsook Professor of Fundraising at Indiana University; professor of nonprofit marketing and fundraising at Bristol Business School in the United Kingdom; and adjunct professor of philanthropy at the Australian Centre for Philanthropy and Nonprofit Studies at Queensland University of Technology, Brisbane, Australia. The managing editor of the International Journal of Nonprofit and Voluntary Sector Marketing, he has authored numerous articlesand books. Jen Shang is a professor and philanthropic psychologist at the School of Public and Environmental Affairs at Indiana University–Bloomington. Her work has been featured in the Chronicle of Philanthropy, Advancing Philanthropy, Nonprofit Times, and The New York Times.